No shoes protect your feet better than a pair of work boots. With fantastic durability, flexibility, and a protective exterior, work boots rule, especially in the construction industry. In the industry of hard labor, wearing any other shoes just won't suffice. Sharp objects will puncture your running shoes or any footwear with thin outsoles risking injury to your feet. Thus, work boots have become a standard safety requirement in the workplace. Work boots are be very heavy when wom every day. Because this type of shoe has a part of it made of steel - the steel toecap - covering the toe box to shoulder the impact of any heavy objects dropping. However, as time goes by, work boots can wear, especially on the inside. By withstanding the weight of your feet, the insoles can give up on you. Choosing the best insoles for work boots can help you to lengthen their lifespan and provide your feet with much more comfort. As there are so many products that could be considered the best insoles for work boots, it would be senseless to try reviewing every option.After extensively filtering the options, we will show you the ten best products on the market. This should make your buying decision a breeze. 3 Have you chosen the best insoles for work boots yet? Before listing the top ten insoles for work boots, it is essential to know exactly what work boots are capable of. Work boots are interchangeable with safety shoes as personal protective equipment (or PPE) in industrial settings. But this doesn't mean you can only use them in the construction industry. Outdoor pastime like hiking in cold winter conditions mean you can use these boots for more than just work. Work boots protect your feet from a wide range of injuries, from burns to free-falling objects. They also prevent you from slipping because of the immense outsole grip. A work boot can protect your foot from cutting hazards.To act as an electric insulator, a work boot with a composite toe would be the best choice. Aside from withstanding any kind of environment and weather you're in, wearing fashionable boots is never a mishap! Despite how long shoes last these day, probably the first things that will give up are the shoe inserts that went with your purchase. This situation may lead to discomfort all day long before eventual pains and muscle soreness. This can be avoided by buying insoles that are perfectly designed and have additional features for the coziness of your feet bones. We will show you what to look for when selecting the best insoles. First, there are three main types of insoles: custom orthotics, support insoles, and comfort insoles. Comfort insoles are obviously used for additional comfort. They are made from soft foams. Despite being enticing, they are not appropriate for working. Custom orthotics are made by a podiatrist for patients with foot issues like flat feet, and plantar fasciitis. However, the game changer of the three are support insoles. These are made of hard material for stability and extra support. You'll need this on a typical workday! Support insoles should integrate shock absorption. When working on hard terrain, it's important that your boots cover all safety aspects. Insoles should be a perfect fit for you. This lessens the chances of feeling tired, increases comfort levels and helps to stave off blisters. Insoles must be moisture-proof to prevent the chances of smelly feet. Superfeet have always boasted that they heven't significantly improve their design since 1977. According to them, they take pride in selling insoles that always work in different types of shoes. 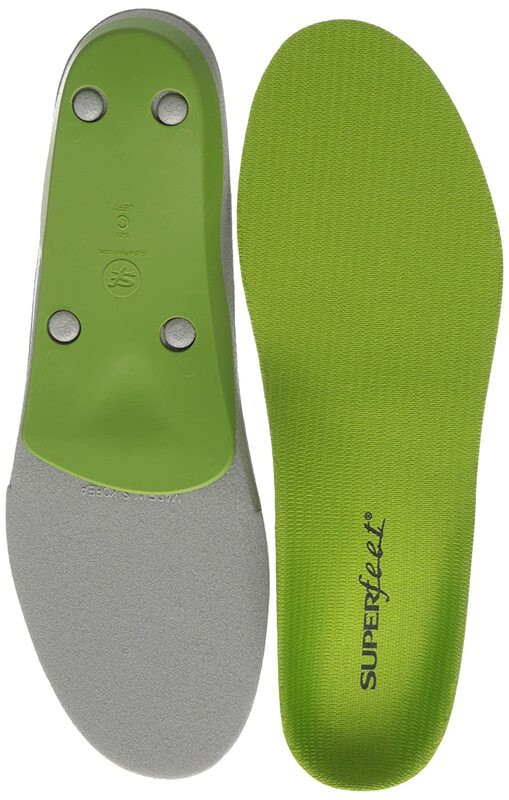 Superfeet have many colors associated with the arch of your foot: green, orange, and blue. But to use their product, you must remove the old insoles of your shoes. Small thing in exchange for enhanced comfort, right? This brand is the most recommended by podiatrists for people who work on concrete several hours a day. They are in high demand because, as well as being highly comfortable, they keep your feet straight and in level position. 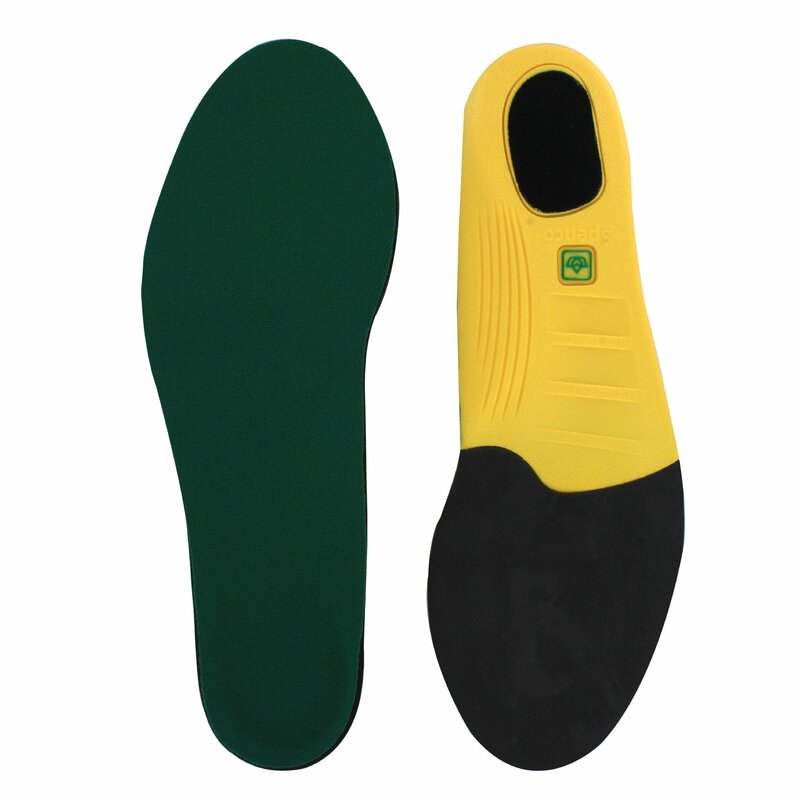 These insoles are also said to reduce the degradation of the boots. These inserts have the characteristics of providing even shock absorption encompassing the whole of your stride. Superfeet insoles supports your heel with a deep heel cup that positions the soft tissue to absorb shock and help form proper bone alignment. The stabilizer cap is made of polypropylene that stabilizes the mid-foot because it acts as the base of the insole. It's not that bad if you buy shoe inserts that are bigger than your feet because Superfeet products are trimmable. For people who are new to inserts, it is to begin with Superfeet insoles. Timberland PRO is really a pro when it comes to manufacturing high-quality work boots. They've been in the industry since 1973. 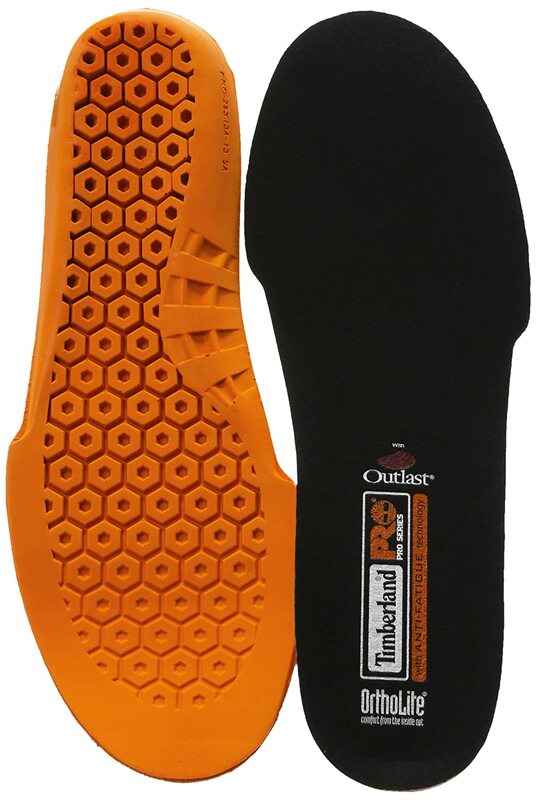 Now that they are producing quality insoles that are carefully engineered for great performance and comfort, you'll think twice of buying other brands if you're wearing Timberland PRO work boots. But these also slip into other work boots without a hitch. These shoe inserts boast an Ortholite top layer that delivers excellent comfort and antimicrobial odor control. For lightweight support, they came up with the anti-fatigue technology that has an inverted cone design. Furthermore, with that technology, your insoles offer resilient support, and impressive shock absorption features. The insoles have anatomically contoured footbeds that provide maximum comfort and support to the feet especially if you are stood up for hours on end. If you don't have your size when you buy insoles, don't worry. You can simply purchase a bigger one, and you can trim to fit! It's super - simple. You'll only need scissors and the insoles that came with your shoes as templates. 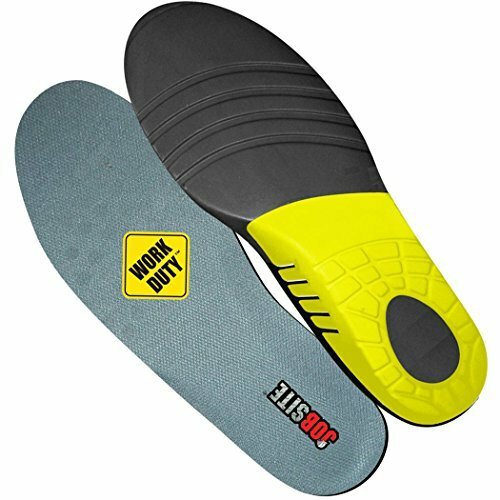 As the brand suggests, these insoles are typically used in job sites. These prevent shock with the carefully designed deep heel cup. This design also offers great support and stability. Aside from being lightweight, the EVA base is also durable. The top cover also has anti-microbial odor control. You can be on your feet for extended periods of time without feeling the pain. These insoles can also help people with plantar fasciitis and those suffering from foot pain with their arch support and high rebound cushion. These eventually lessen the fatigue you might be feeling. Flexible synthetic rubber called neoprene. Yellow lightweight material made of polyurethane that enhances arch and heel support. Small black thing that measured 5/32 inch called Spencore for shock absorption. Green four-way stretch fabric at the topmost layer that prevents the forming of blisters and smelly feet. The Spencore material, aside from shock absorption, can also be a cushion to provide comfort for your feet. These are entirely different from the previous orthotics we've reviewed, primarily because they make use of gel. The company founded by Dr. Scholl in 1968 is now a household name you can trust it with taking care of your feet. Their products are fantastic if you spend long hours on your feet. These orthotics are very versatile. You can use it with your work boots, and also all other types of closed shoes. Why? Because these insoles are made of rubber that adapts to your feet and has handy blue cushions that add further support and more comfort. Though they have rubber materials, the insoles do not squeak. These inserts possess cooling vents that keep your feet fresh and dry. An additional feature that this product can brag about is its shock absorption. You will have to remove the original insoles to use these. Replace the product every six months when they start to show signs of wearing. Whether you work hard or play hard, this insole will provide the utmost comfort in spite of the impacts your shoes receive. Its military-grade nylon fabric for the top cloth resists abrasions and supports your feet with proper cushioning. Experience comfort everywhere, even if you are on a rough field, a rocky road, or a smooth trail. Likewise, expect this insole to last long through the maximum durability delivered by its top cloth. Your hard-working feet must enjoy this insole since it is designed to fight foot fatigue. Through its microcellular foam, you’ll experience comfort from heel to toe. Also, it has gel zones which target the major shock points of your sole. Lastly, it comes with an unparalleled arch support. With these features, you’ll experience an all-day comfort with this insole. A smelly foot is a common problem among cheap insoles. Profoot combats this issue through the use of Silverplus anti-microbial protection. Experience an all-day odor control despite the activities you’ll undergo while working. Its silver ionic odor protection reduces your worry of smelly boots. You’ll never leave your work boots outside like before. This insole is made in the USA. Also, the raw materials used for this insole are supplied in the USA. Podiatrists designed this insole to fight pain caused by plantar fasciitis and other foot issues, including but not limited to foot fatigue, heel pain, and metatarsal pain. For hardworking feet, this insole might suit well for heavy duty jobs. One essential feature that suits well for work boots is through this insole’s comfort and durability. This is made possible through the use of a lightweight ethylene-vinyl acetate (EVA) padding, expressly designed for general use. Also, it has a pleasant arch support with extra comfort and support to keep you well throughout your day. Those odor-causing bacteria shall not irritate you anymore. This insole integrates an anti-microbial technology in its felt lining for repelling bacteria. To satisfy your hygiene, it keeps your feet fresh and odor free for long-term use. You may trim this insole for your customized fit. Since it is versatile, this insole will provide on your athletic shoes, casual shoes, and work boots. Just use the insole that comes with your shoes as a pattern when trimming this insole. ViveSole guarantees your insoles to be free from defects on successful purchase. 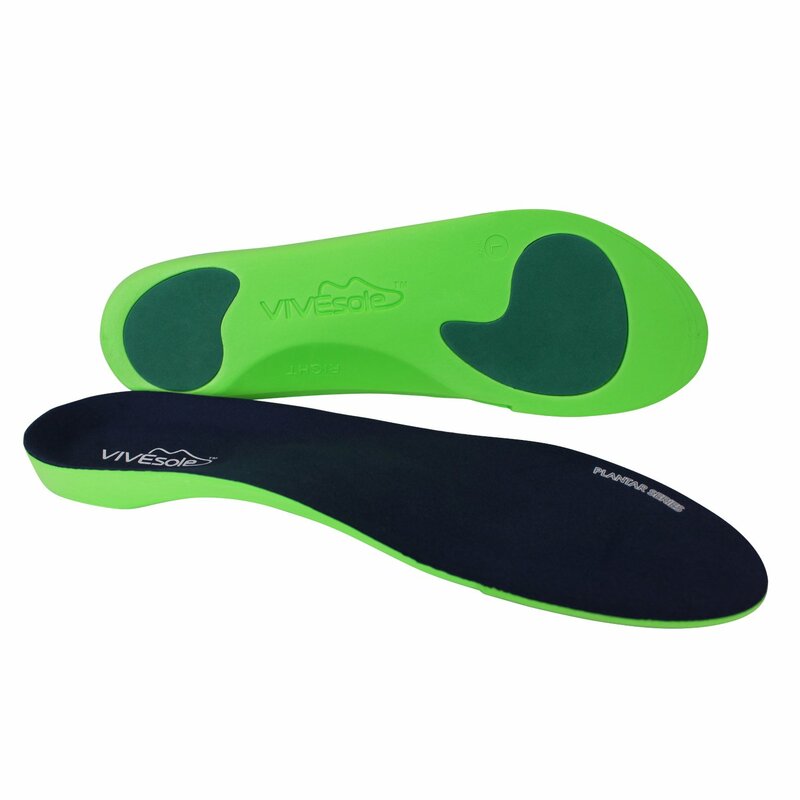 In case you are not satisfied, this insole can be returned within 120 days through their Vive Guarantee agreement. As long as the item has not been misused or abused, expect money-back through their excellent customer service. Still, ViveSole assures your product to assist your foot issues. You do not need to work all day while suffering foot pain! If you want an all-day performance without sacrificing motion comfort, Sof Sole provides you with an insole for your preference. 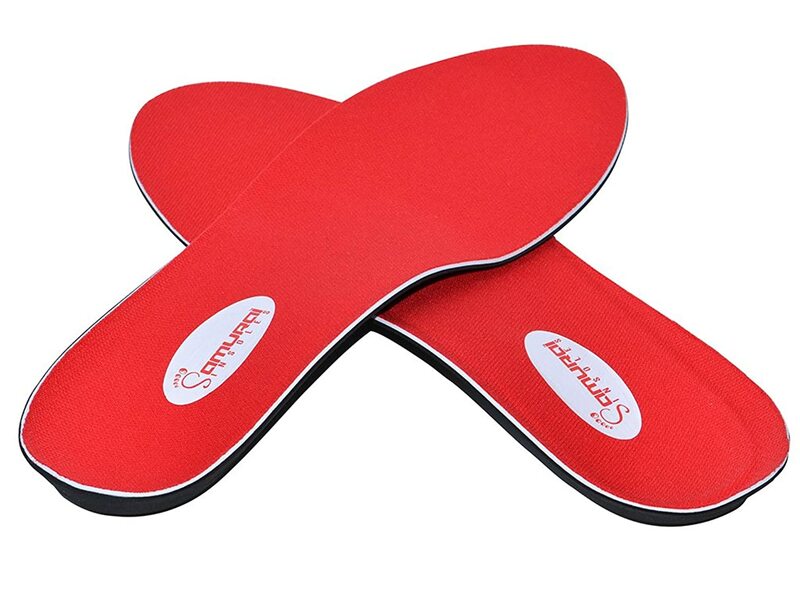 With a great combination of IMPLUS foam and gel pads, this insole gives you an outstanding shock absorption. Your feet will surely experience freedom from pain regardless of the intensity of your work. This insole integrates the Hydrologix Moisture Management Technology for you to refrain from irritating warmth and moistures on your feet. Also, the top cover integrates a treatment technology to obstruct the growth of odor-causing bacteria primarily. No more suffering from smelly feet this time! Contoured for suitability, the neutral arch design of this insole suits most foot types and shoe types. This is ideal for on-site jobs, heavy-duty jobs, and other casual use. Through the use of gel pads, this insole has the right cushioning for your heel and forefoot. It’s time to let go of those usual fatigues you experience from ordinary insoles after an all-day work. Sof Sole assures you with a high-quality insole through the use of a synthetic material. Under normal use, this insole will last longer than usual. If you have a flat foot, this insole is highly recommended for its seamless adaptation. No more pain for now. No more foot issues in the future. After an all-day work, you may develop unwanted foot pain. Relieve the foot pain you experience through these Comfort Orthotic Insoles manufactured by Footminders. 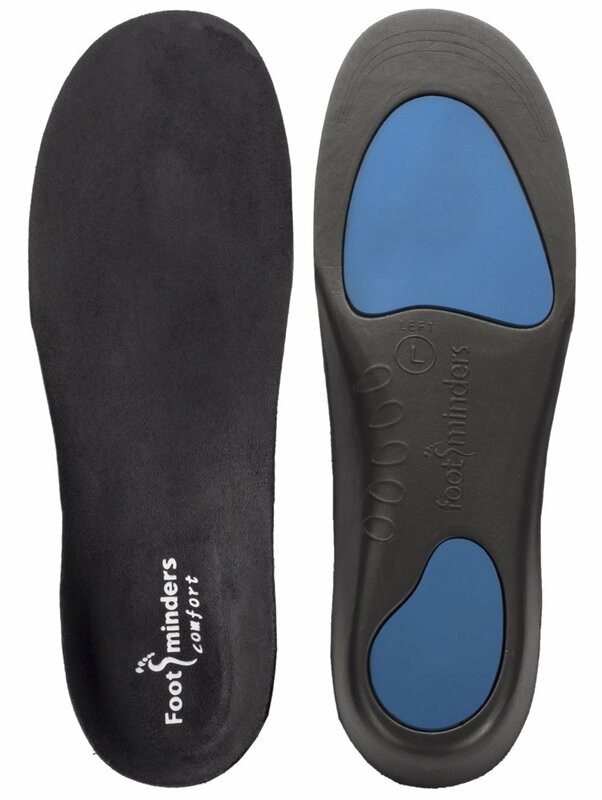 Designed by podiatrists, this insole has an orthotic advantage by preventing overpronation. It provides biomechanical alignment of your lower body to restore the optimum foot function. 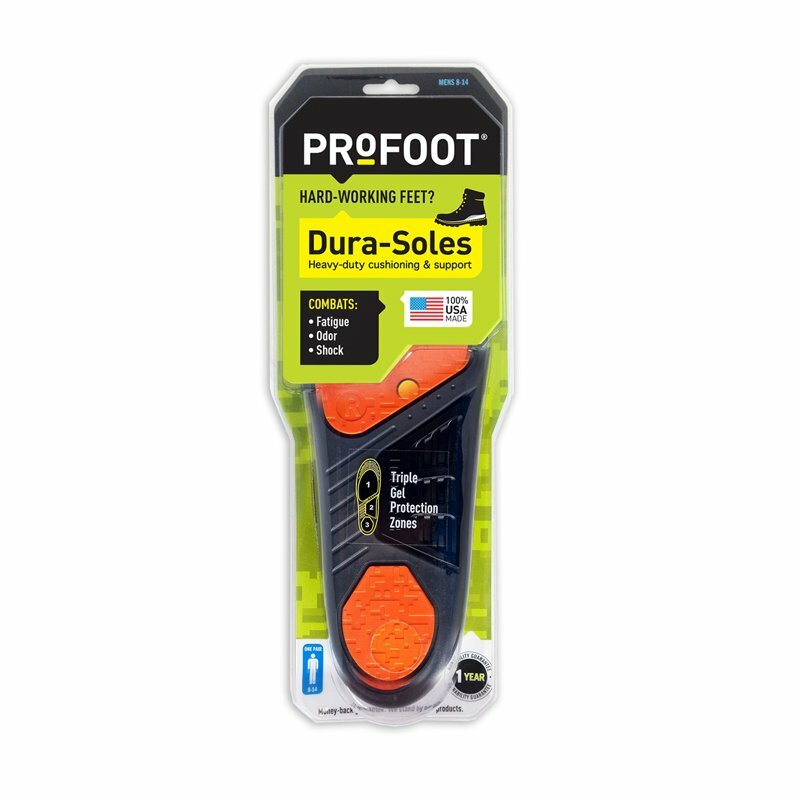 Highly recommended for your work boots, this insole provides further relief to foot pain a ﻿﻿﻿﻿heel pai﻿﻿n. With its firm arch support, you’ll work comfortably even if you need to walk or just stand for an extended period. Also, deep heel cups are used to support your ankles further and enhance the overall stability. Through the combination of the soft ethylene-vinyl acetate (EVA) foam and Durapontex cushioning, you’ll experience comfort whether you are in motion or not. Also, its large heel pad allows further shock absorption. Lastly, it has a metatarsal support to relieve and prevent pain on the ball of your foot. This insole provides immediate comfort upon first use due to its anatomical shape. It follows your foot’s natural curves. Regardless of your arch type, it is friendly for your feet. To keep it more “foot-friendly”, this insole uses a soft, velour-like anti-bacterial top fabric. It will surely keep your feet dry and cool. Fight back the pain like a Samurai! Samurai Insoles are designed by podiatrists to ensure gentle control on overpronation. This insole acts as an orthotics for your foot. It’s time to take good care of your feet. When working for a long shift, you need insoles addressing foot pain issues. This insole’s orthotics allows quick relief from common foot issues, including but not limited to plantar fasciitis and heel pain. If you can’t tolerate rigid orthotics or sturdy arch supports, this insole might be your great choice. Samurai Insoles takes advantage of Orthotics. This insole is biomechanically designed to allow an optimum function of your feet and legs. You’ll experience natural molding of the insole to your feet without sacrificing the grip of the insole to your sole. It does not only provide comfort and freedom from foot issues, but it also assures prevention of further foot damages. Aside from Orthotics, Samurai incorporates the premium needs of your sole. 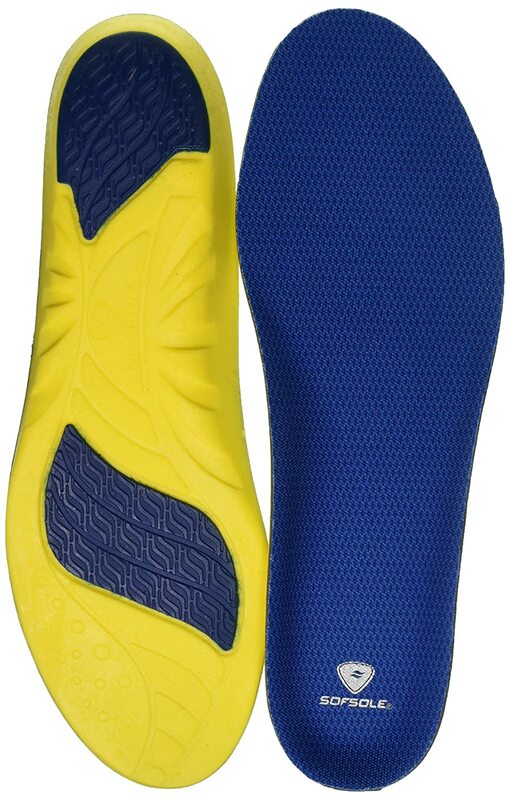 This insole provides dynamic support for your feet through a supportive orthotic shell within a high-density pad. It allows shock absorption on impact activities and realignment of foot joint when needed. Samurai Insoles are manufactured to follow the conventional design of your usual insoles. Also, there’s no need for trimming the insoles. You can directly purchase the insole at your specified foot size. This saves your time and prevents any mistakes with trimming. Have you chosen the best insoles for work boots yet? Before you cash in to your prospective item, recheck if they have these following qualities. Guarantee yourself that the size you buy is not small for you. At least secure that it's one size larger than what is actual. You can always trim it later, but depending on the material used. Don't go for those that may not support what arch type you may have. Further research on the product, like watching YouTube videos and reading other customer reviews is helpful. People who don't have foot issues may skip this one. If you suffer from a foot pain, you may want to reassure that you intend to buy insoles that reduce pain. If you're a first-time buyer, you can be forgiven if you don't start with expensive products right away. Even though they may be on the cheaper side, you must know that they may not last long if you aren't careful and you work in a difficult environment. As for the expensive insoles, you may think that if it's expensive, then it's really good. However, this may backfire on you if you aren't very specific with your foot condition and the way you care for your insoles. It is the best advice for you to make do with the above products first before looking at other products in the market. Not using the best insoles for work boots may take a toll on your feet. That's why shoe manufacturers do recommend replacing the insoles that were original with your shoes to specially engineered orthotics. Original insoles are made thinner and offer little support and comfort that could cause your feet unwanted implications. Wearing the appropriate insoles, not only you will feel light on your feet, but you will also feel like standing all day! The review for the top best insoles for work boots ends here. It's now up to you find out if you’ll unleash your newfound energy when you finally wear insoles from the feature products above. What are the Types of Insole Footbed?